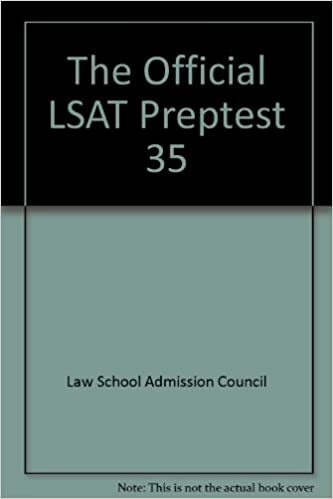 Studying for the LSAT? 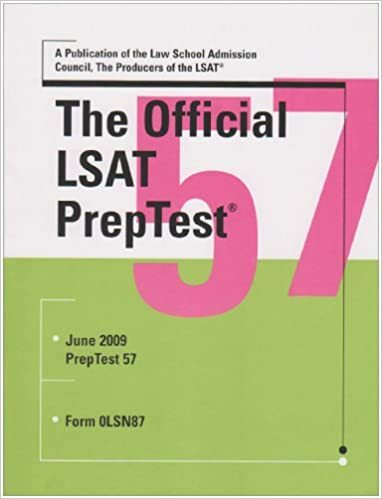 You’re going to need practice tests and an analog LSAT watch. 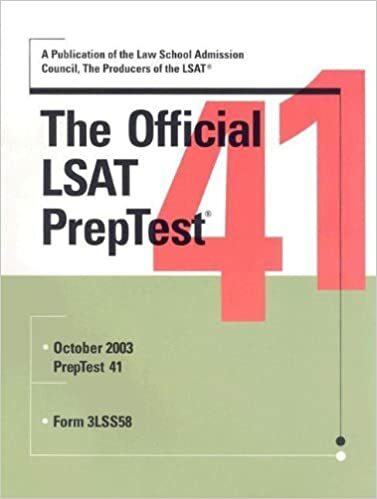 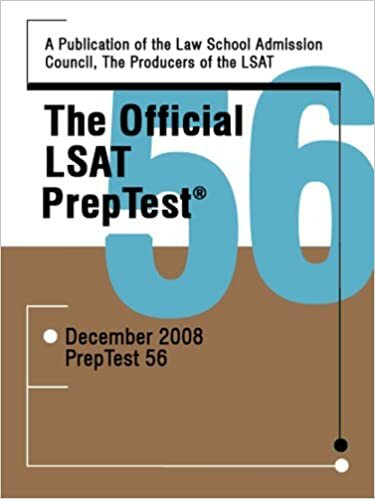 We have included individual LSAT PrepTests, the 10 Actual Official LSAT PrepTest series of books, the Official LSAT SuperPrep books with formerly undisclosed February LSATs, The Official LSAT Prep Test with Explanations Volume 1 with the Feb. 1997 LSAT PrepTest, and the free June 2007 LSAT from the LSAC website. 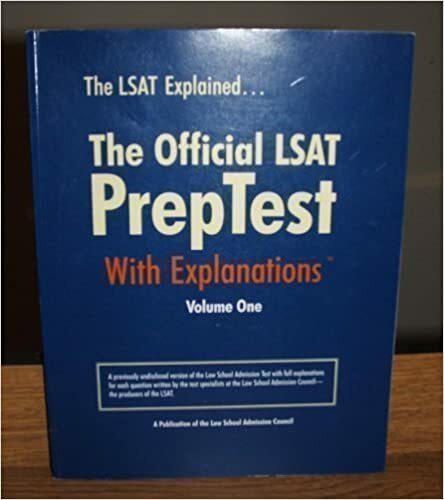 We have included all these to be comprehensive in our list and to give you the most choices. 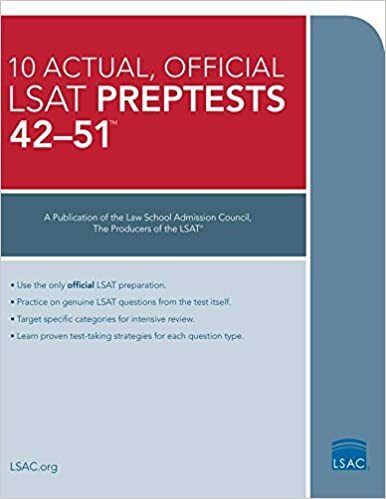 Be aware of what PrepTests come with what books so as to not purchase redundant tests from multiple books and/or individual tests. 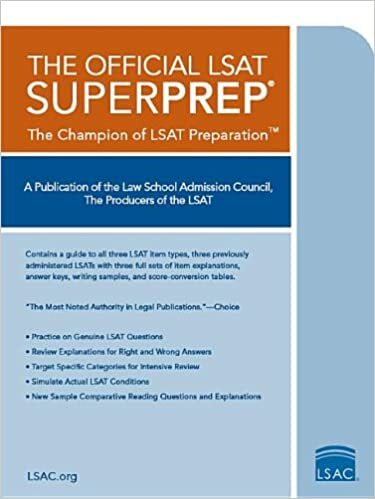 The only instance in which you may want to do this is for the SuperPrep books, which contain undisclosed/February LSATs. 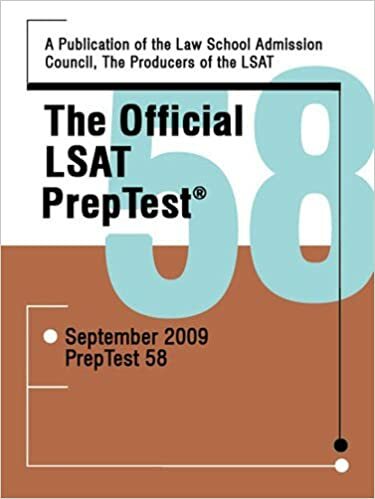 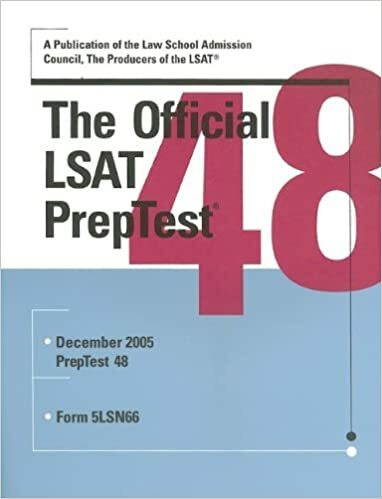 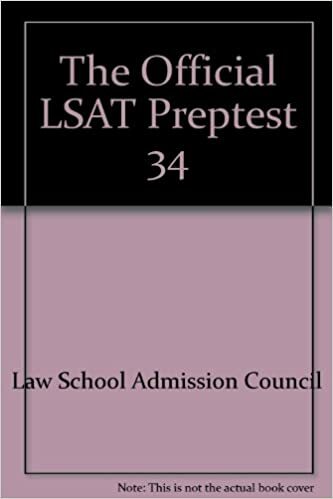 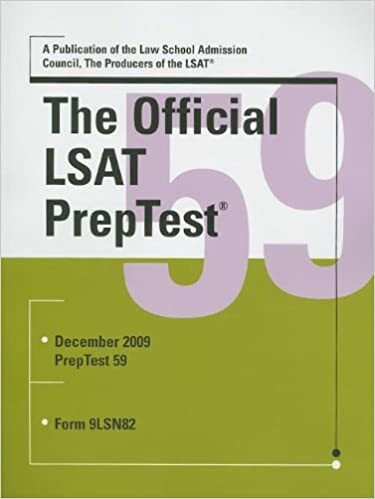 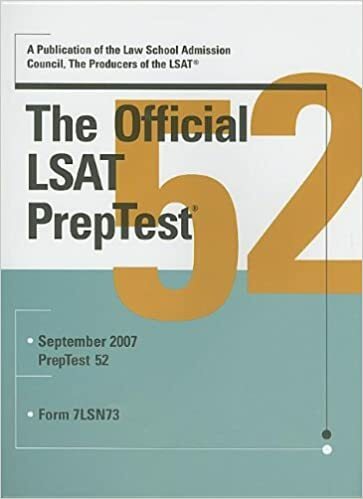 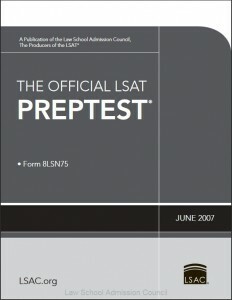 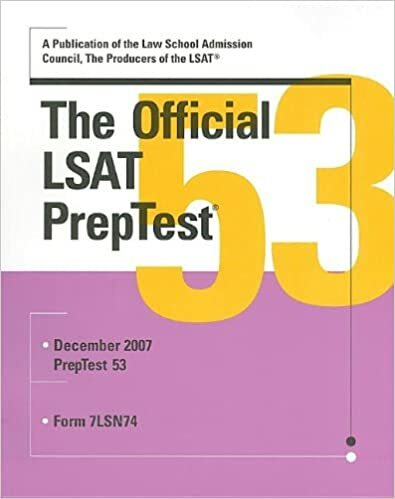 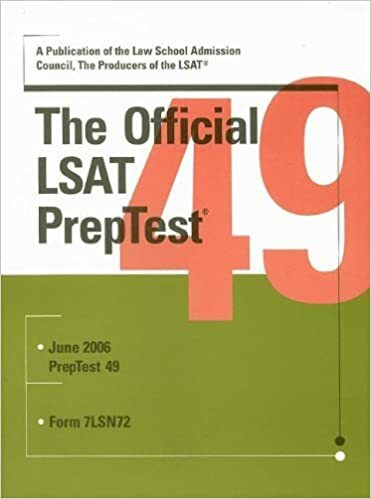 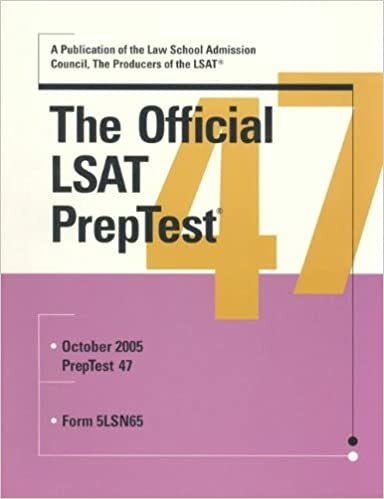 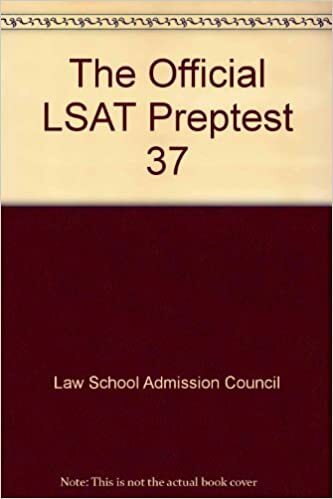 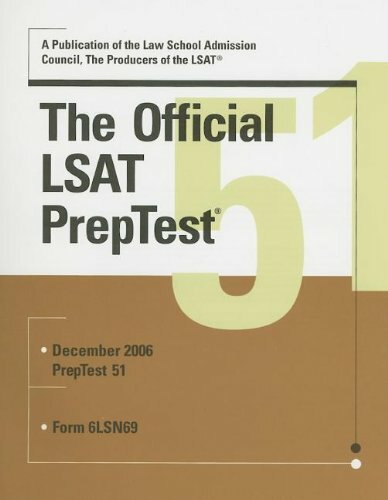 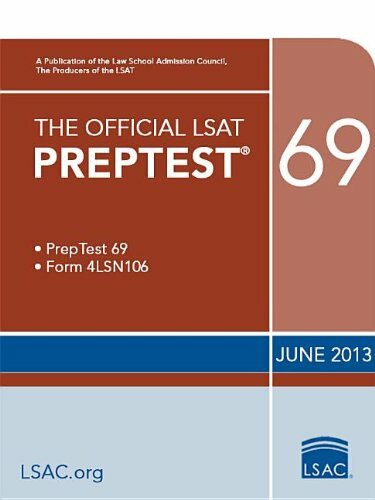 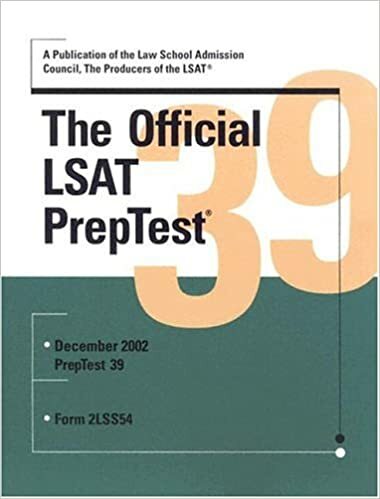 The Official LSAT SuperPrep II: The Champion of LSAT Prep comes with PrepTest 62, 63, and another undisclosed PrepTest, which was never previously released (and is most likely a February exam, which the LSAC does not typically release and are not included in their PrepTest numbering system after the mid-1990s.) 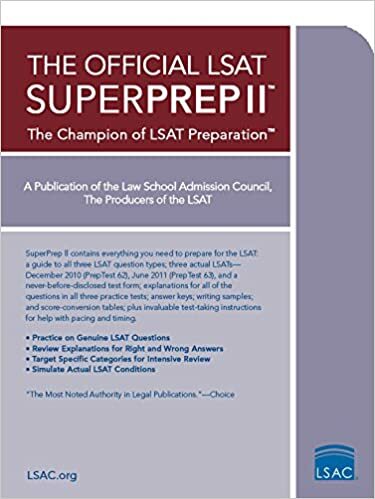 The Official LSAT SuperPrep: The Champion of LSAT Prep comes with the Feb. 2000, Feb. 1999, and Feb. 1996 PrepTests (all previously unreleased LSATs). 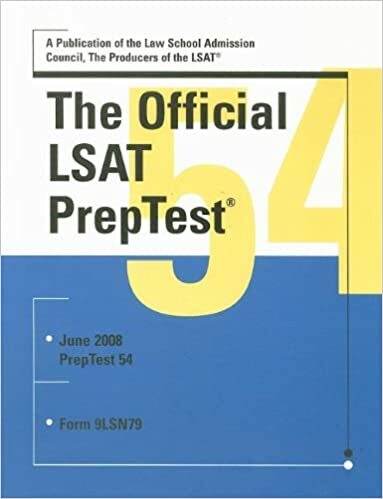 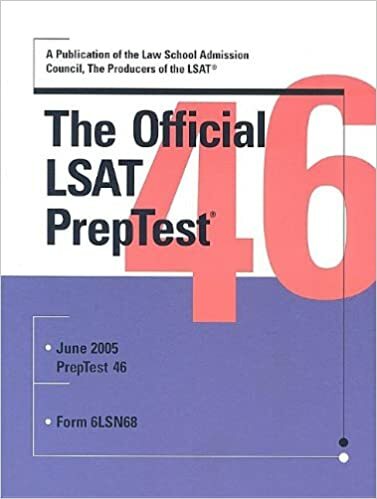 PLEASE NOTE: As you go down the list and approach the older PrepTests (LSATs with lower numbers), be aware that most of these older individual exams are no longer in print by the LSAC and will either be increasingly expensive or not available as a single LSAT PrepTest. 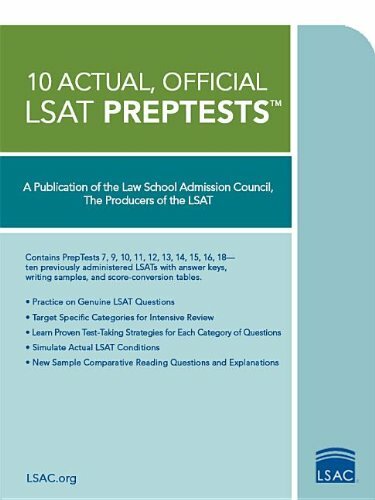 Instead of purchasing these exams as individual PrepTests, opt for the 10 Actual Official LSAT PrepTest series books with these older PrepTests in them. 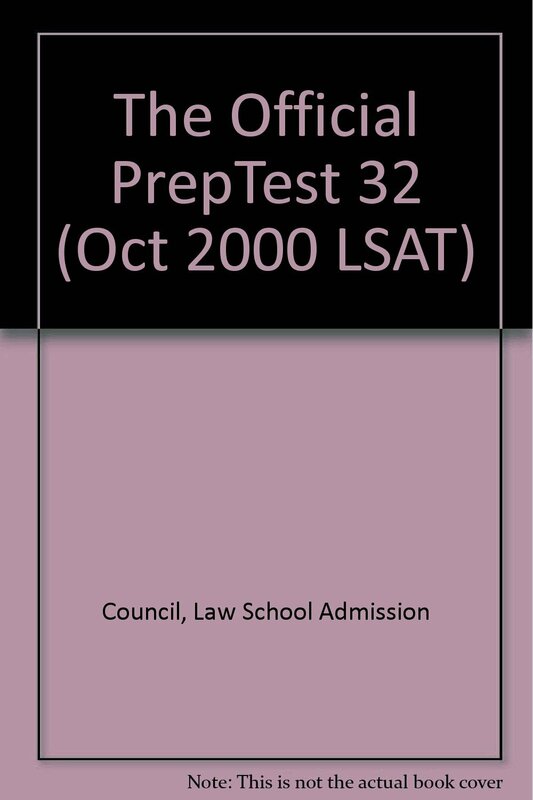 The list as it is currently constructed was done to be comprehensive and contain all published LSAT PrepTests in existence in reverse chronological/number/release date order for quick reference, so please do not purchase all tests listed or you will be obtaining redundant copies and vastly overpaying for them. 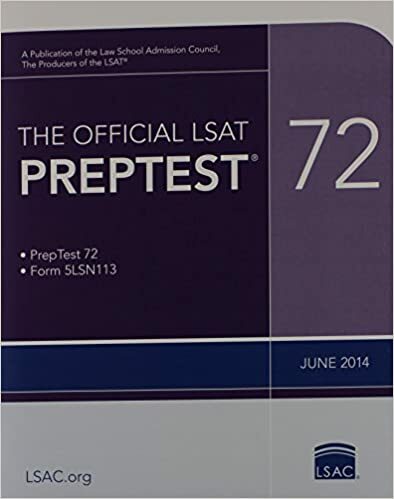 Contains PrepTests 72 – 81. Contains PrepTests 62 – 71. 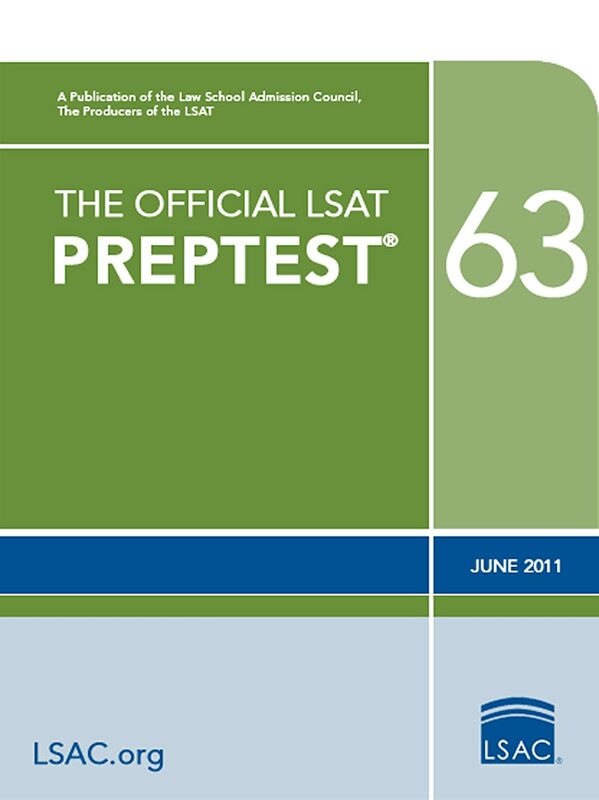 Contains PrepTest 62, 63, and a previously undisclosed LSAT (Most likely a recent February LSAT that cannot be obtained anywhere else). 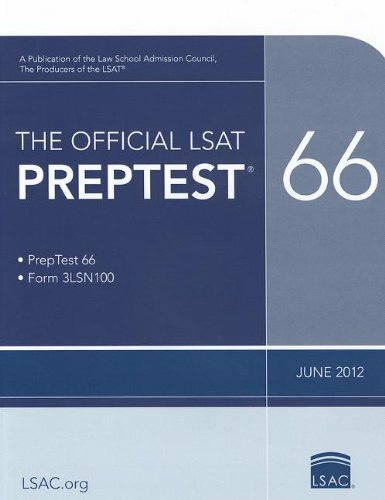 Contains PrepTests 52 – 61. 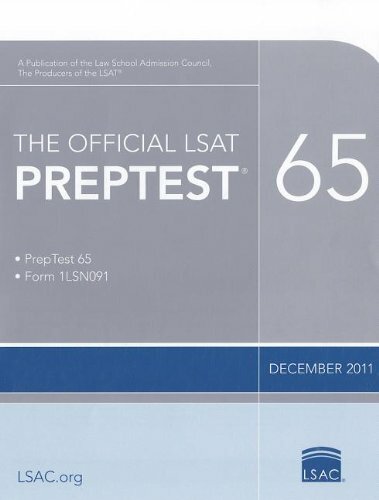 Contains PrepTest from June 2007. 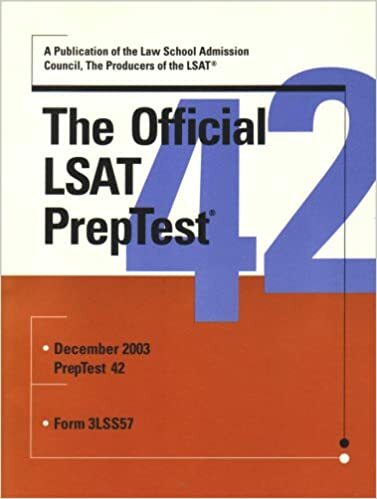 Contains PrepTests 42 – 51. 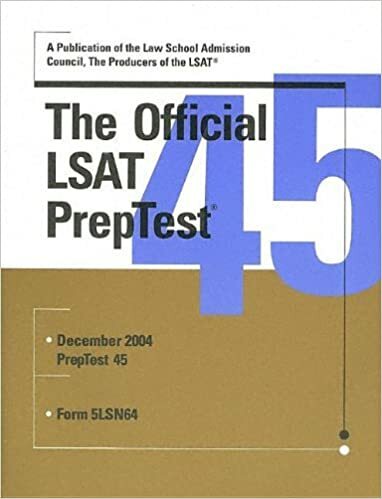 Contains PrepTests 41 – 50. 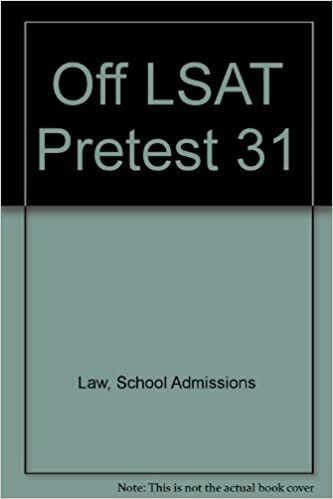 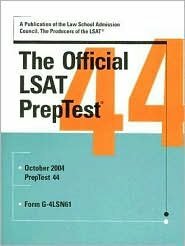 For PrepTests 39 and 40 in 10 Actual Official LSAT PrepTest series format, see book further down the list. 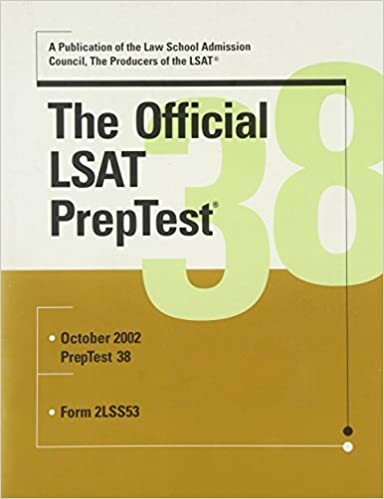 Contains PrepTests 29 – 38. Contains PrepTests from Feb. 2000, Feb. 1999, and Feb. 1996 (all previously undisclosed LSATs). 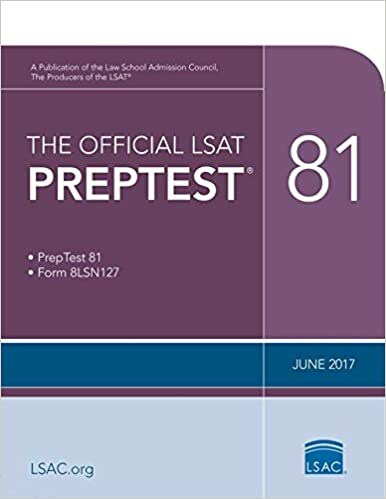 Contains PrepTests 19 – 28. No individual PrepTest listing available. 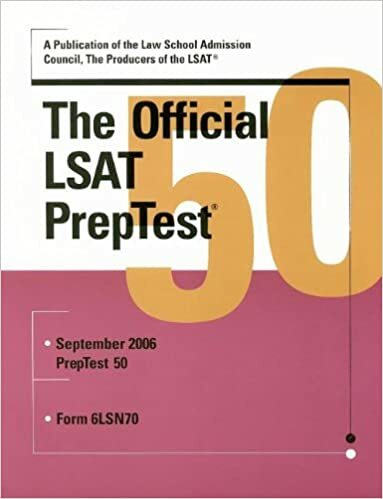 See 10 More, Actual Official LSAT PrepTests: (PrepTests 19 through 28) (LSAT Series), which contains PrepTest 26 along with other LSAT PrepTests. 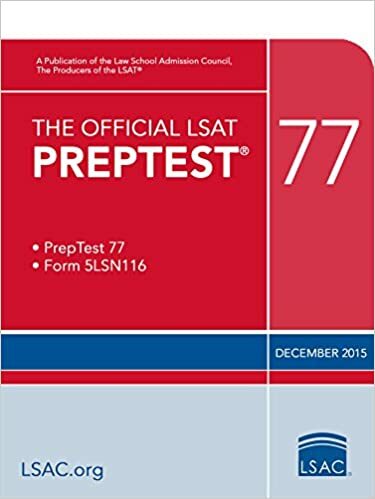 No individual PrepTest listing available. 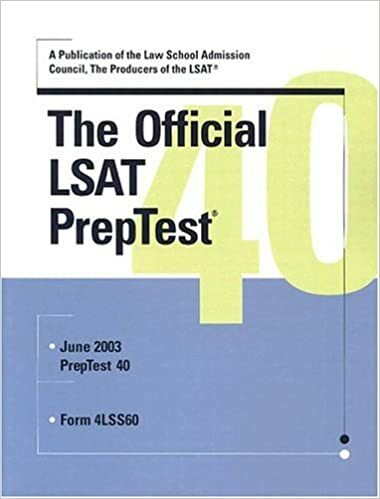 See 10 More, Actual Official LSAT PrepTests: (PrepTests 19 through 28) (LSAT Series), which contains PrepTest 24 along with other LSAT PrepTests. No individual PrepTest listing available. See 10 More, Actual Official LSAT PrepTests: (PrepTests 19 through 28) (LSAT Series), which contains PrepTest 23 along with other LSAT PrepTests. 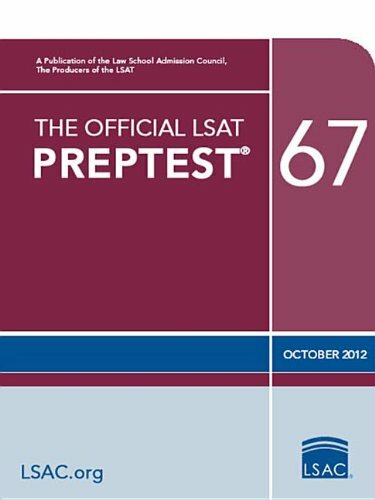 No individual PrepTest listing available. 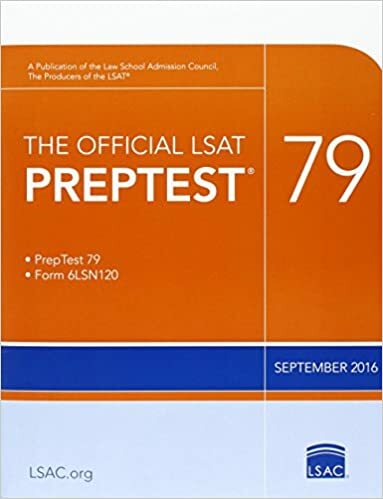 See 10 More, Actual Official LSAT PrepTests: (PrepTests 19 through 28) (LSAT Series), which contains PrepTest 22 along with other LSAT PrepTests. Contains PrepTest from Feb. 1997 (previously undisclosed LSAT). 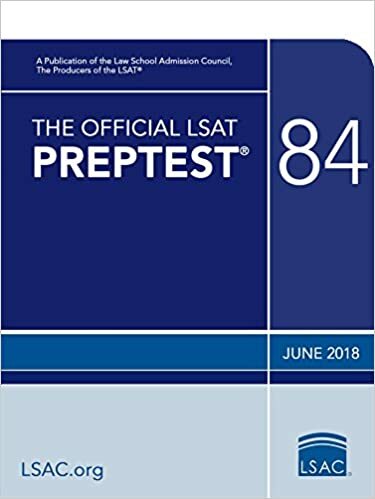 No individual PrepTest listing available. 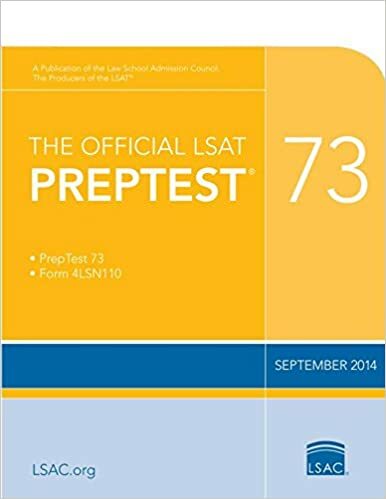 See 10 More, Actual Official LSAT PrepTests: (PrepTests 19 through 28) (LSAT Series), which contains PrepTest 21 along with other LSAT PrepTests. No individual PrepTest listing available. 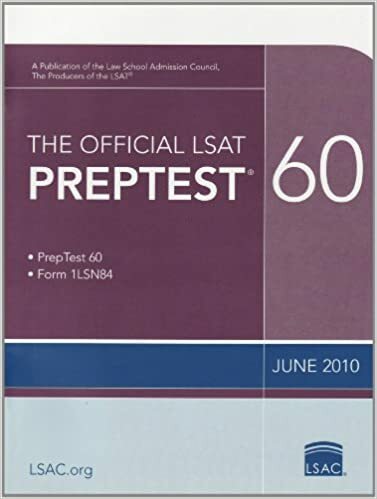 See 10 More, Actual Official LSAT PrepTests: (PrepTests 19 through 28) (LSAT Series), which contains PrepTest 19 along with other LSAT PrepTests. Contains PrepTests 7, 9, 10, 11, 12, 13, 14, 15, 16, and 18. 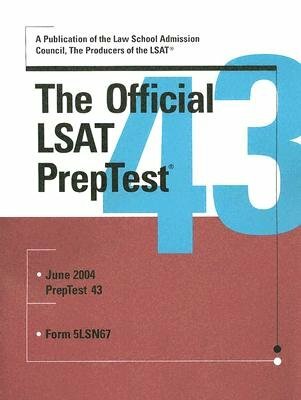 No individual PrepTest listing available. 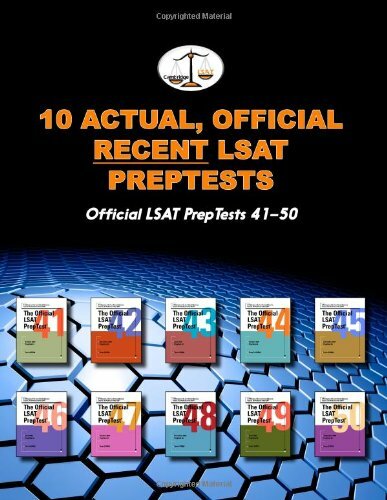 See 10 Actual, Official LSAT PrepTests: (PrepTests 7, 9, 10, 11, 12, 13, 14, 15, 16, and 18) (LSAT Series), which contains PrepTest 13 along with other LSAT PrepTests. No individual PrepTest listing available. 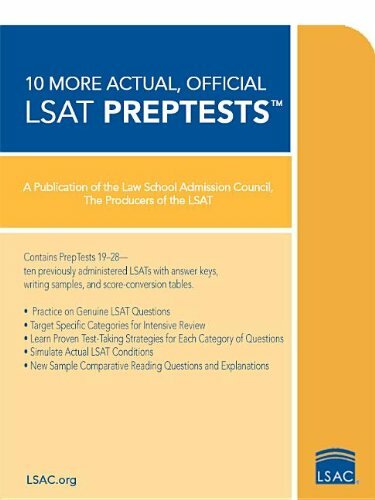 See 10 Actual, Official LSAT PrepTests: (PrepTests 7, 9, 10, 11, 12, 13, 14, 15, 16, and 18) (LSAT Series), which contains PrepTest 12 along with other LSAT PrepTests. No individual PrepTest listing available. 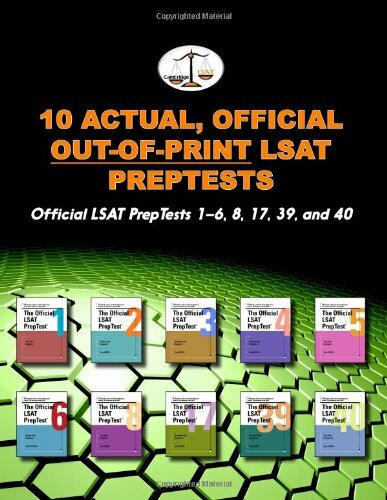 See 10 Actual, Official LSAT PrepTests: (PrepTests 7, 9, 10, 11, 12, 13, 14, 15, 16, and 18) (LSAT Series), which contains PrepTest 11 along with other LSAT PrepTests. No individual PrepTest listing available. 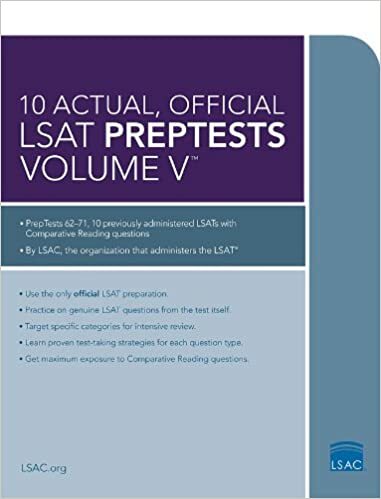 See 10 Actual, Official LSAT PrepTests: (PrepTests 7, 9, 10, 11, 12, 13, 14, 15, 16, and 18) (LSAT Series), which contains PrepTest 10 along with other LSAT PrepTests. 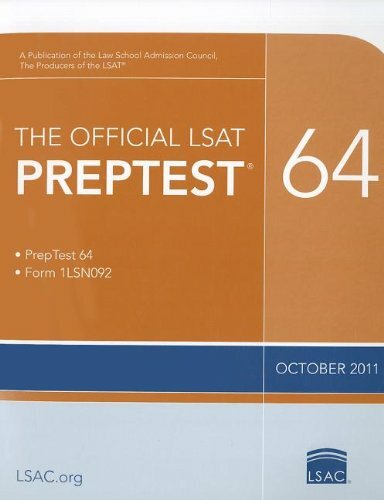 No individual PrepTest listing available. 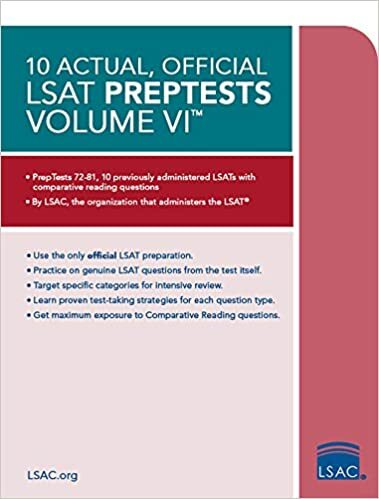 See 10 Actual, Official LSAT PrepTests: (PrepTests 7, 9, 10, 11, 12, 13, 14, 15, 16, and 18) (LSAT Series), which contains PrepTest 9 along with other LSAT PrepTests. 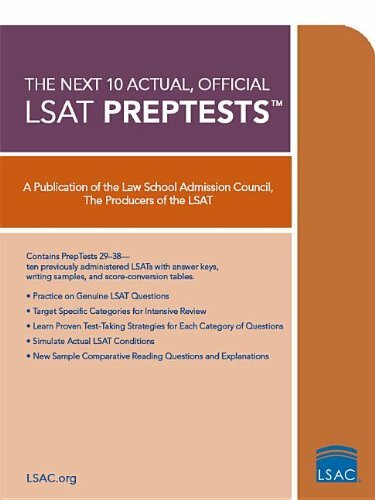 No individual PrepTest listing available. 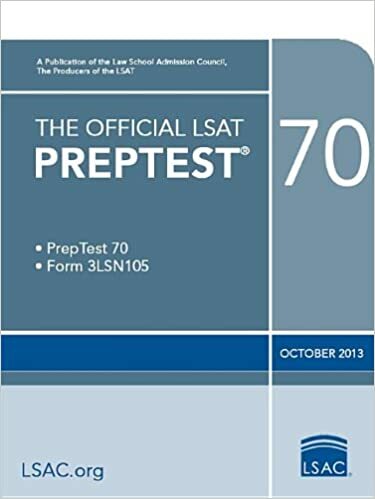 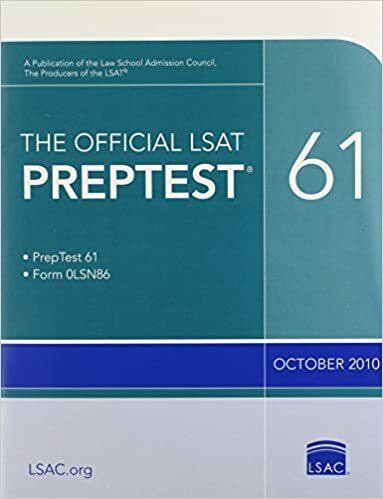 See 10 Actual, Official Out-of-Print LSAT PrepTests: Official LSAT PrepTests 1-6, 8, 17, 39, and 40 (Cambridge LSAT), which contains PrepTest 8 along with other LSAT PrepTests. 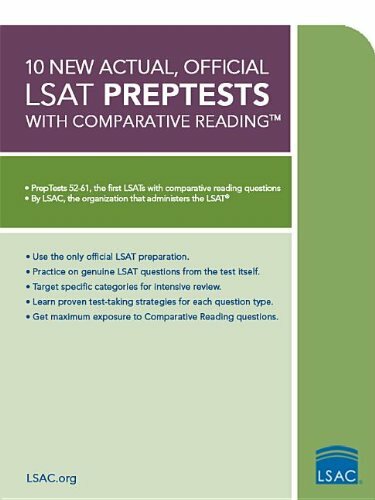 No individual PrepTest listing available. See 10 Actual, Official LSAT PrepTests: (PrepTests 7, 9, 10, 11, 12, 13, 14, 15, 16, and 18) (LSAT Series), which contains PrepTest 7 along with other LSAT PrepTests. 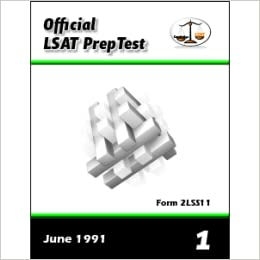 Contains PrepTests 1, 2, 3, 4, 5, 6, 8, 17, 39, and 40. If you are nearing your test date, we suggest getting the newer tests as the material should be more relevant than older exams. 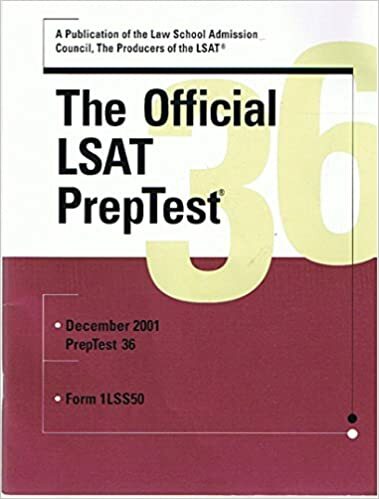 However, if you have started your LSAT Prep early as recommended, you should try to practice with as many LSAT PrepTests as possible—starting with the older tests first and then working your way forward to the newer ones as your LSAT exam date approaches. 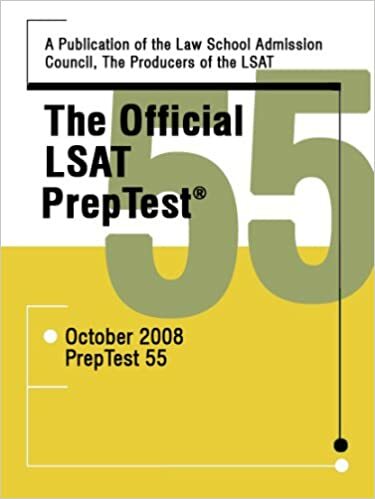 This will allow for the maximum amount of real LSAT practice, giving you ample time to learn the material at your own pace using the older exams and practicing your technique/familiarizing yourself with the style of the questions in the newer ones. And don’t forget to simulate your way to a higher LSAT score with SimuGator’s LSAT Proctor – A Virtual Exam Environment and Timer for Your LSAT PrepTests . 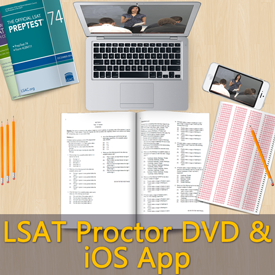 Thousands of students have found SimuGator’s LSAT Proctor to be an invaluable tool in helping them prepare for the LSAT and increase their scores.